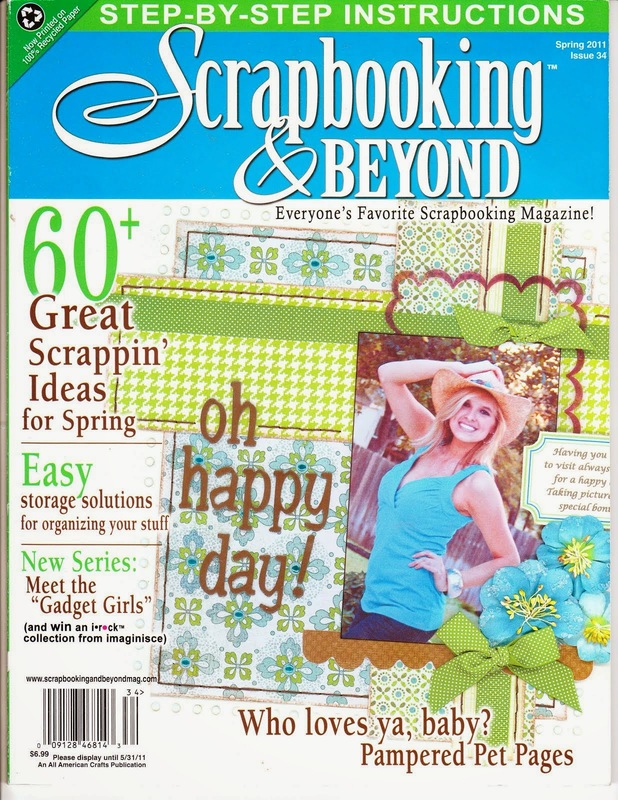 Salvage District from Prima Marketing Inc.
Hey everyone! 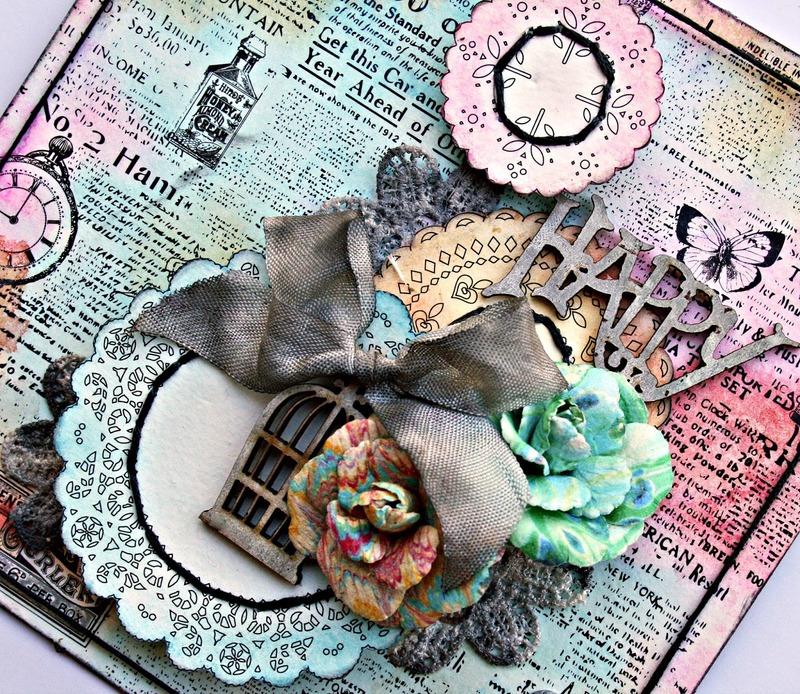 Today, I'm sharing a page that I created using the Salvage District Collection from Prima! The versatility of this collection continues to amaze me! 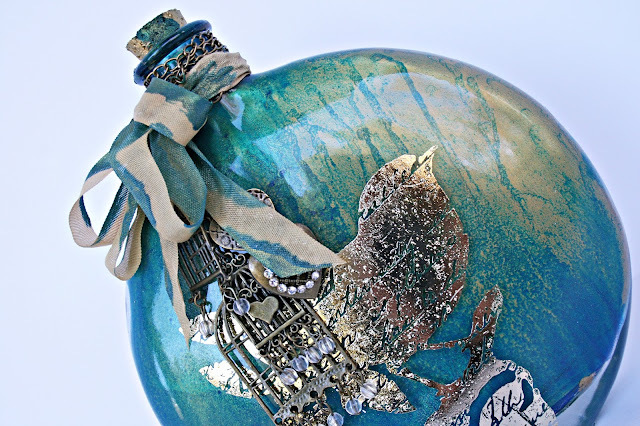 There are so many possibilities wrapped up in one gorgeous collection. Today, I chose to give my page a bit of edge to go with this fun picture of my daughter. I didn't add color to this one, choosing instead to keep it to a monochromatic look to go with a black and white photo. 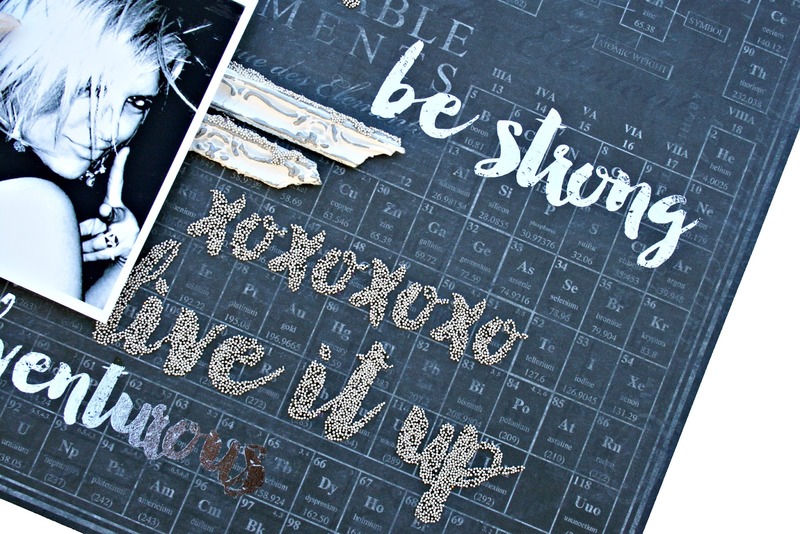 It worked great with all the Prima foil and microbeads to add lots of fun wording. The adhesive rub-ons are great to use to get this look. I also purposely broke a few pieces of the IOD Moulds to tuck in. 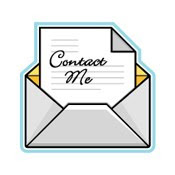 I loved the extra touch this gave to my layout. 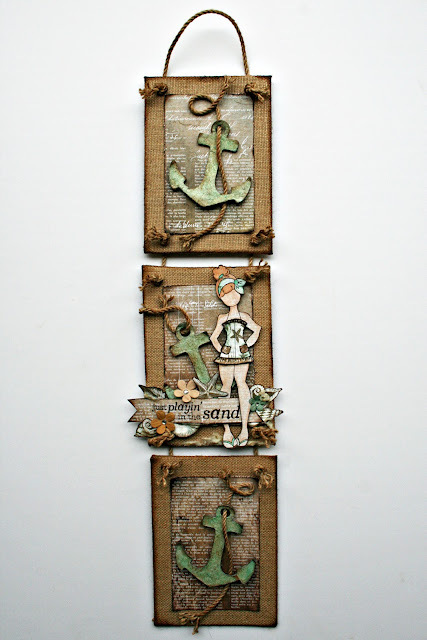 Today, it's all about Salvage District on the Prima Blog, so be sure to stop by there! You will see what I mean by versatility in this collection. 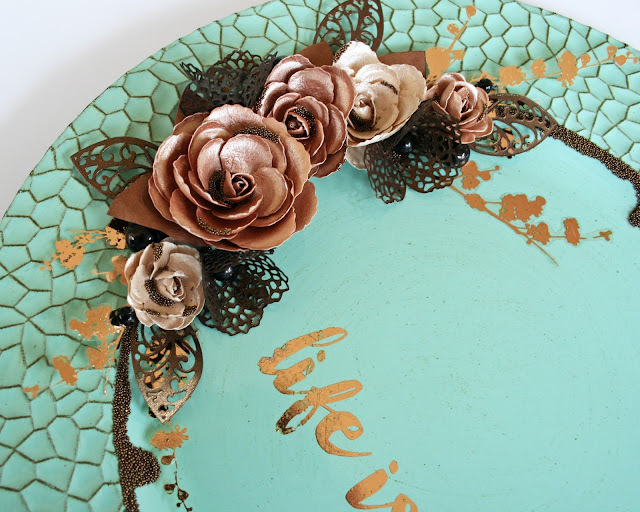 There are so many beautiful projects today that will show you how many ways this one can be used! Hey everyone! I've been playing with the Prima IOD Moulds again! If you are starting to sense that I seriously love these, you would be right!! 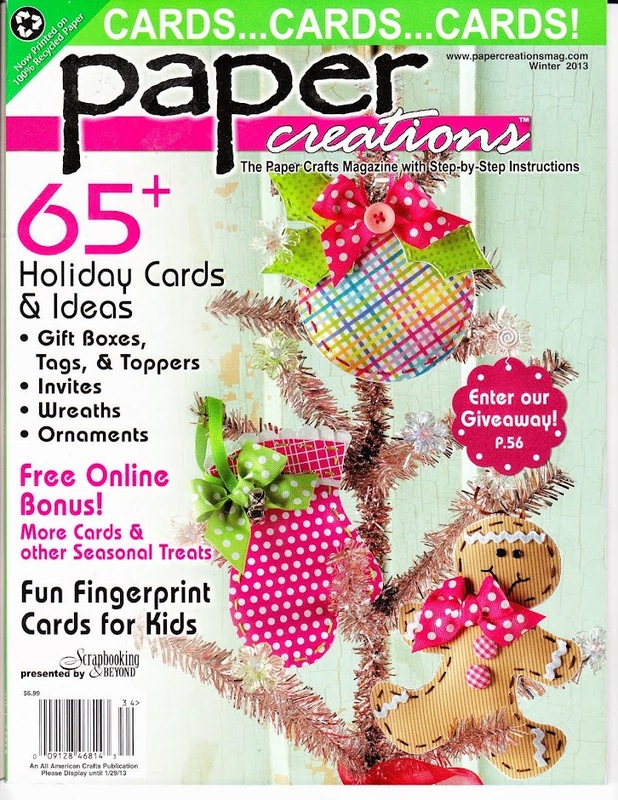 They are simply perfect for everything from intricate pieces to the simplest things. Today, I altered the back of a 6x6 tile! I chose to use that back of the tile because I wanted it to be porous so that it would absorb the Color Bloom to coordinate with the misted IOD Moulds. 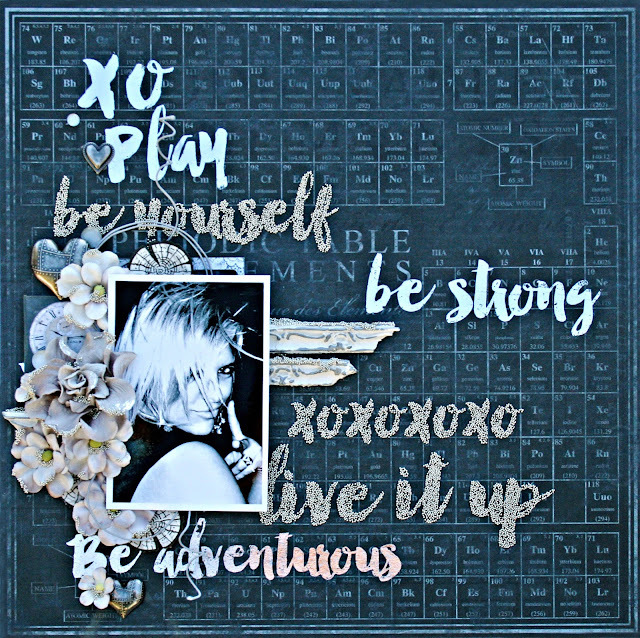 I also loved that it had a textured background that gave the perfect setting to add some Prima Micro beads and Prima Metallic Paint. After the background and moulds were all dry from the misting, I added Prima Metallic paint with my finger to really show off the detail and intricacy of the moulds. 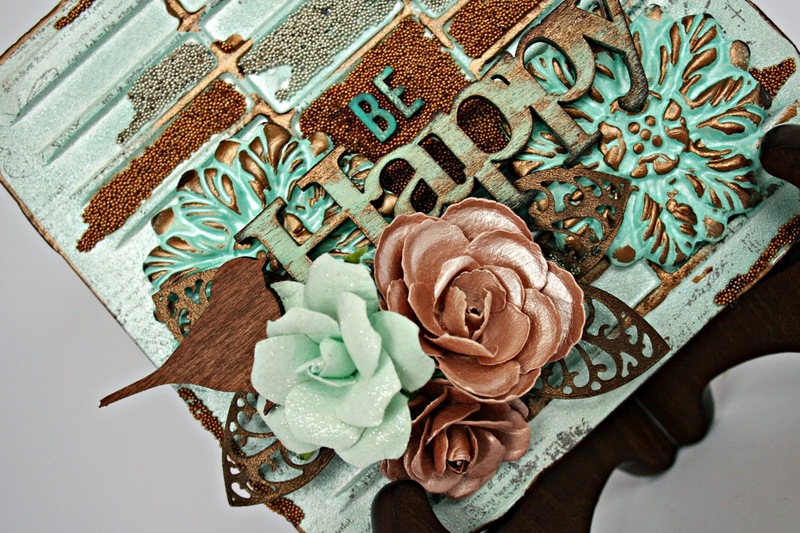 The ideas and possibilities are endless with these new moulds! They are certainly something you will be seeing again and again on my projects. After all, they are made to be used again and again! 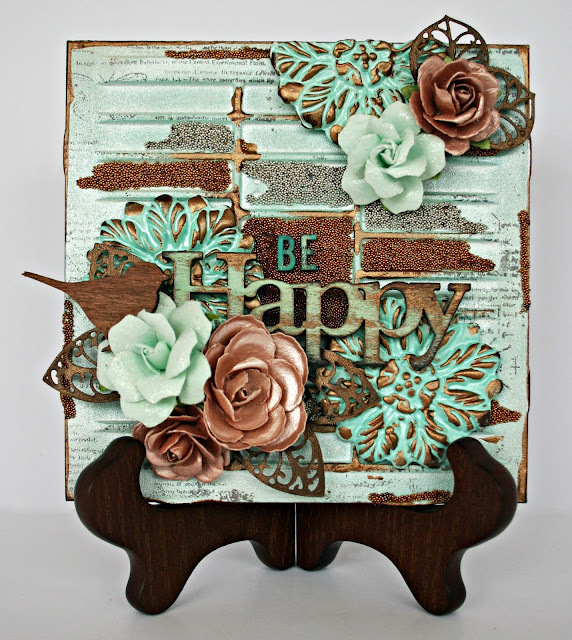 Also, be sure to drop by the Prima Blog to see what the other Design Team Members have created! They will blow your socks off! 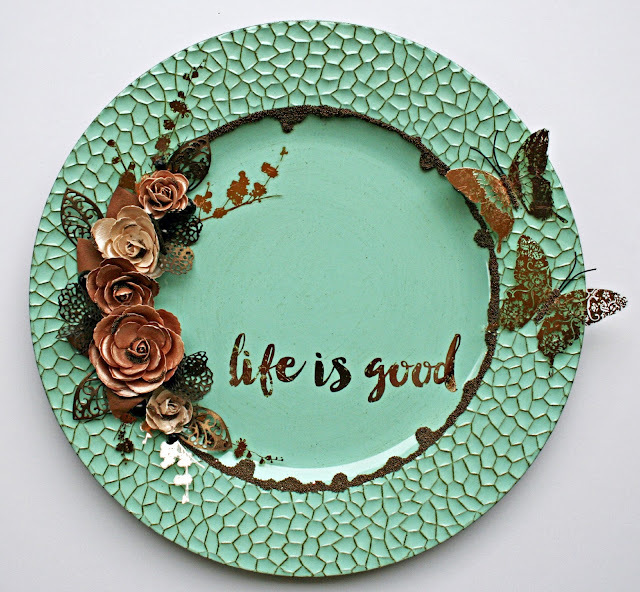 Today, I did my first Mini Class for Live with Prima! 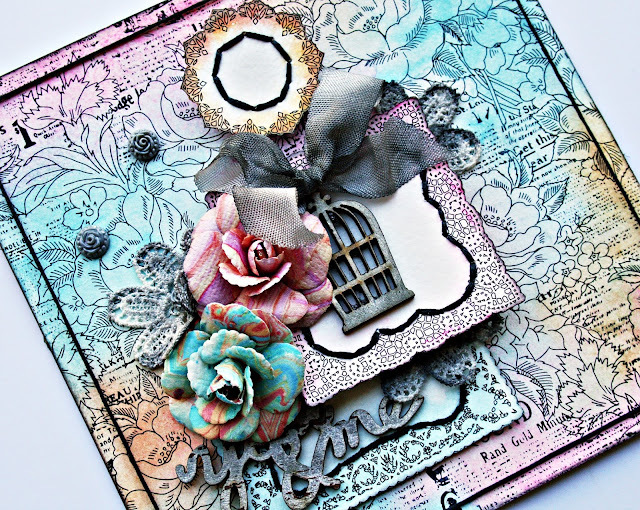 Today was all about the new Prima Foils by Christine Adolph! These foils are showing up on everything that I can think of to put them on. You can watch the show right here! I included lots of ideas that I've had to add the foils to all your projects. 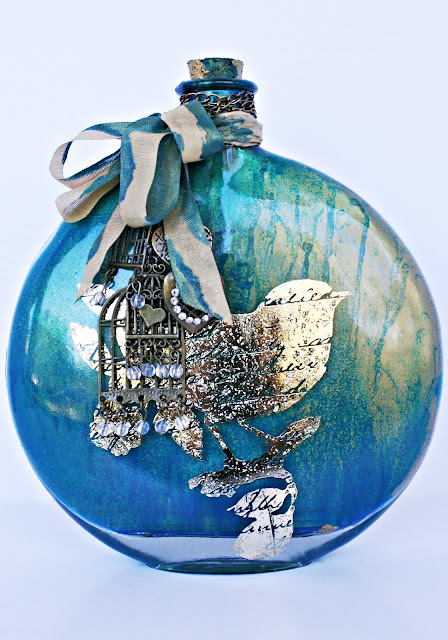 This bottle was altered using the beautiful bird Adhesive Rub-on along with the foil. You can also see some of the brand new mid-release paints on this project. 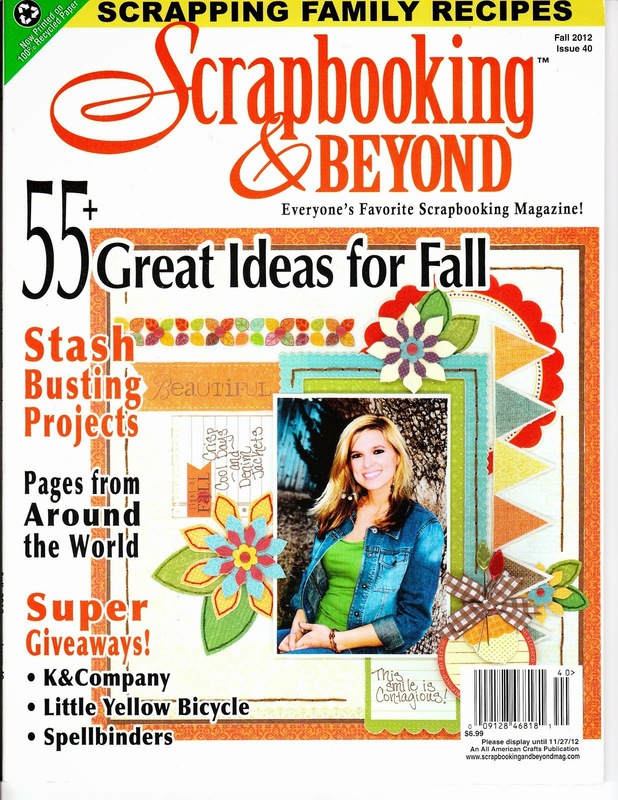 Although I've shown this project before on my blog, I wanted to share a link to the class on exactly how I made it! 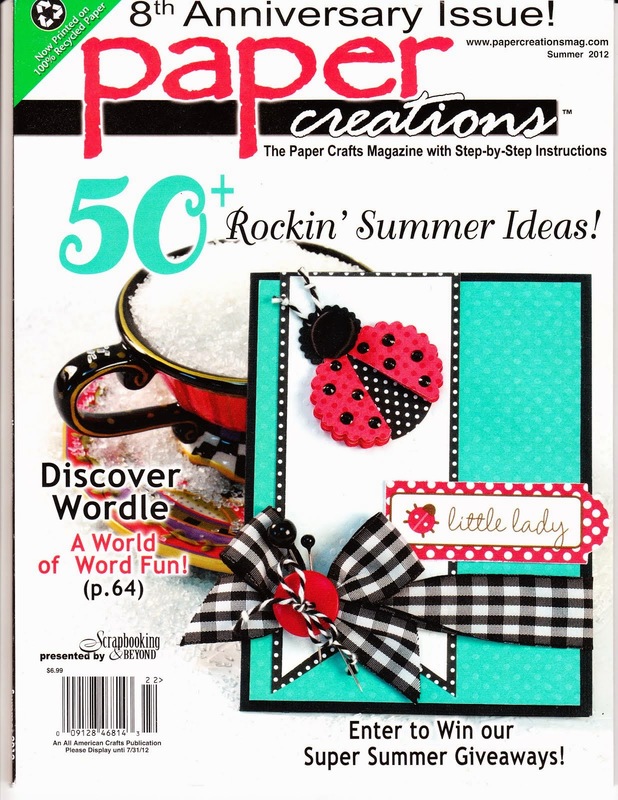 This is a fun and easy project that anyone can do and do quickly! And here is a close-up of the project so you can see the details. Hi everyone! As you all know by now, I'm a huge Julie Nutting fan! 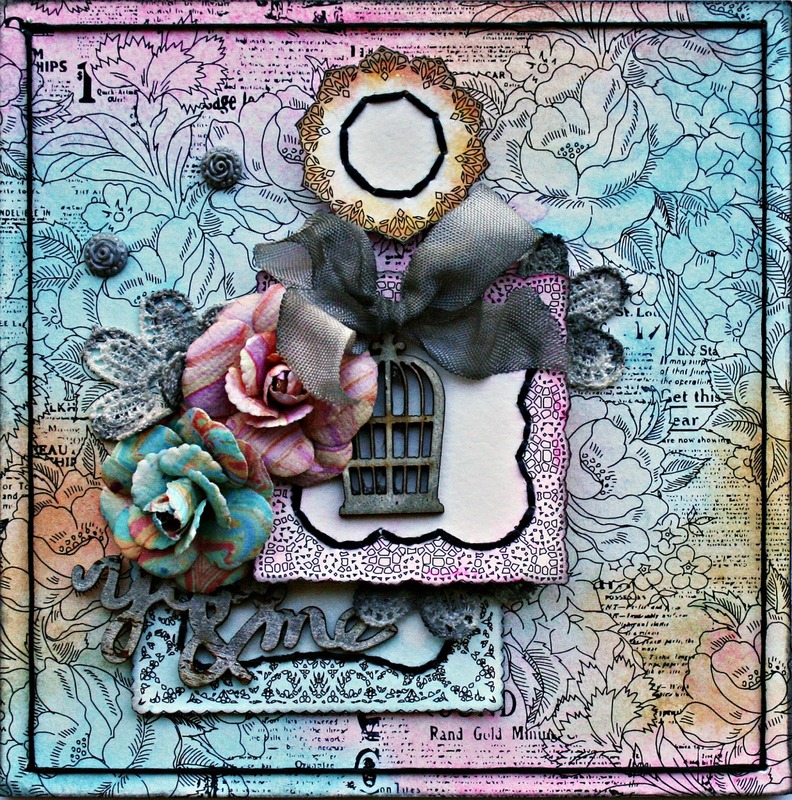 With the CHA Winter Release, Julie and Prima came up with all new stamps! The theme is beach, so it's time to get some in your stash for summer projects! 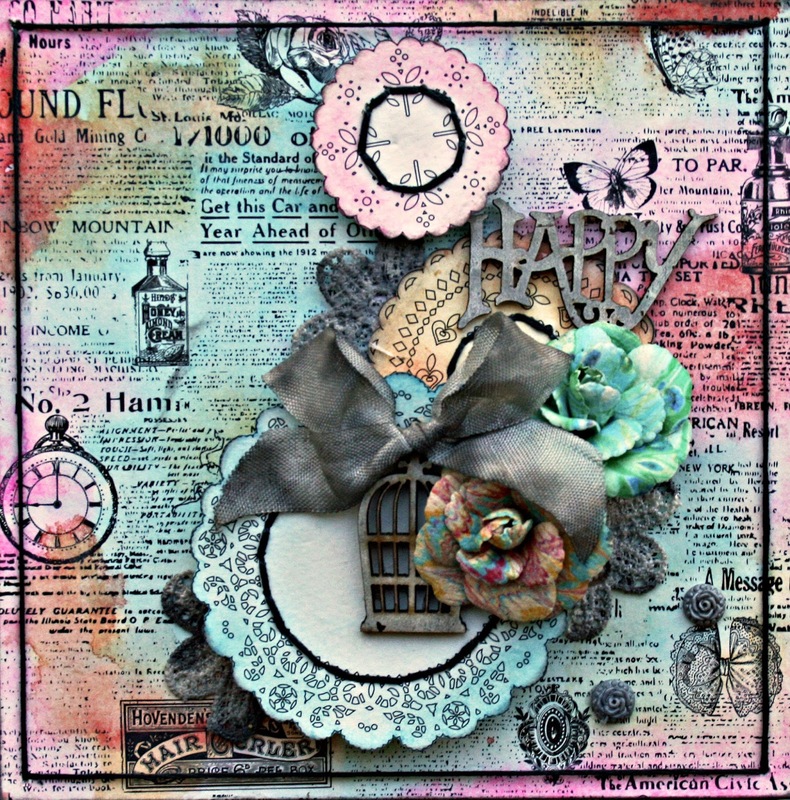 I created a wall hanging for the Prima Booth at CHA. This started with three 5x7 burlap canvases. I also used some of the new French Riveria collection along with lots of other Prima products! You can see a step by step Snapguide tutorial below. 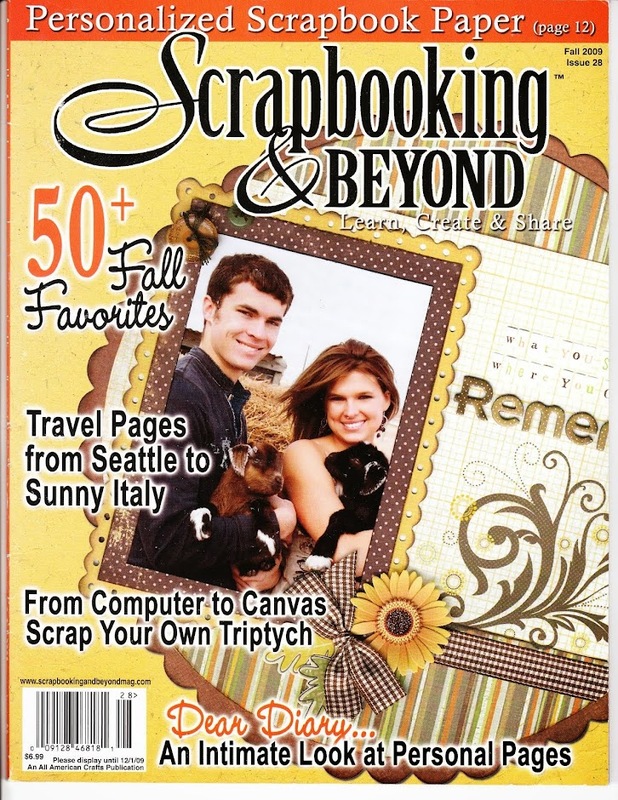 Be sure to check out the Prima Blog, too! 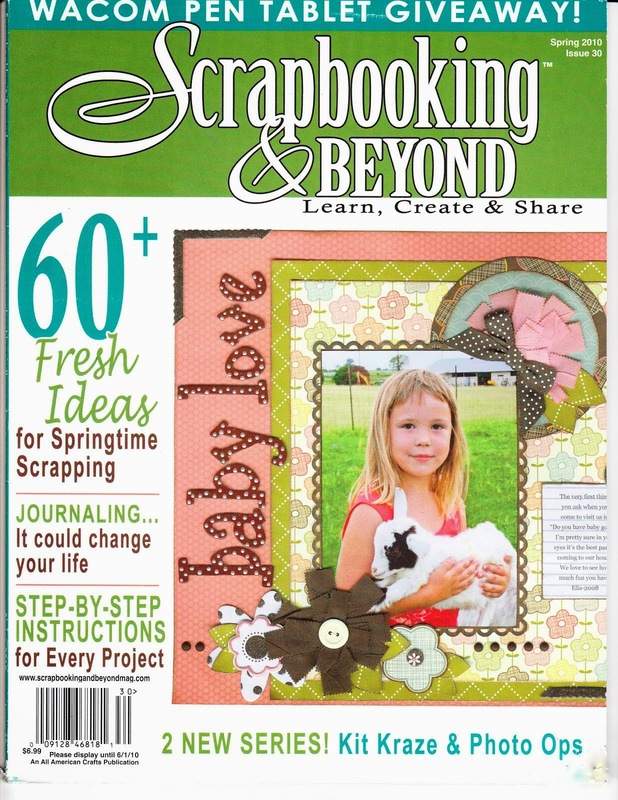 There are so many beautiful Julie Nutting projects there! 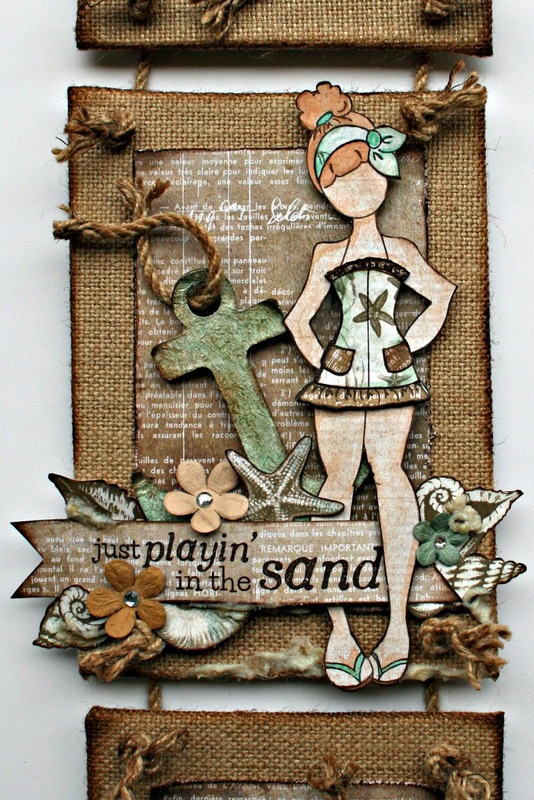 Check out How to Create a Beach Canvas With Julie Nutting Stamps by Prima Marketing on Snapguide. 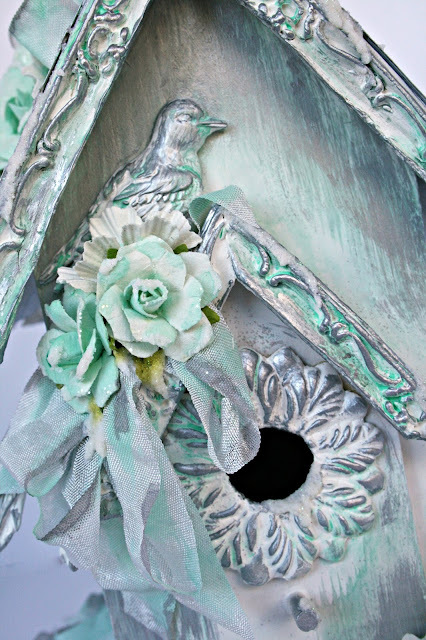 As you might have noticed from looking at my blog, I love birdhouses! I can't seem to help myself when I see one that I want to alter. 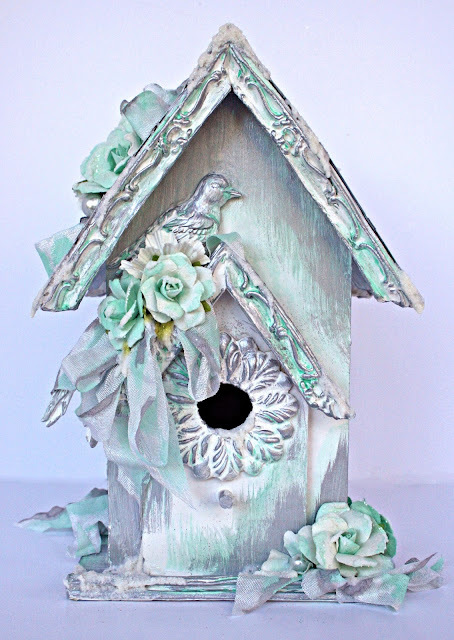 The new Prima IOD Moulds are simply perfect for adding beautiful details to any home decor item and make this birdhouse special! For this birdhouse, I started by using the borders to add to the gables of my birdhouse. It gave it a wonderful detail that was lacking before adding the moulds. The next place I used the IOD Moulds was around the opening in the center. By moulding the paper clay and cutting out the center while it was still damp, I was able to make it work and leave an opening for birdies to sneak into. Of course, no Prima project is complete without adding beautiful Prima Flowers! These are new flowers mixed with some old ones to complete the look that I was going for! I don't think there is anything that Prima Flowers can't take over the top! 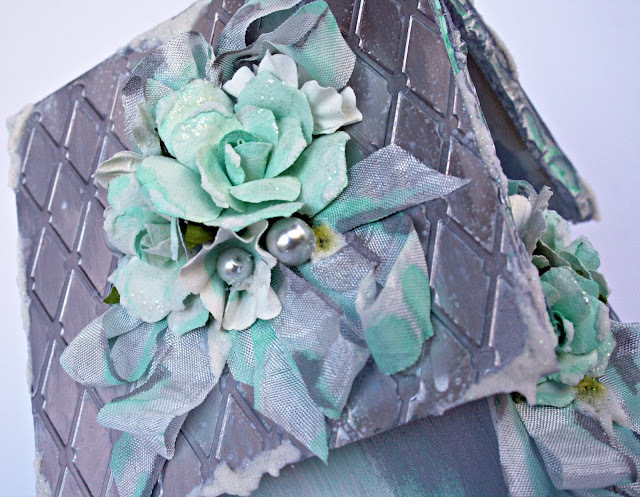 Note: The metal roof is made from thin metal sheets that I embossed and simply glued to the top. Finally, don't forget the little details to finish off your project. 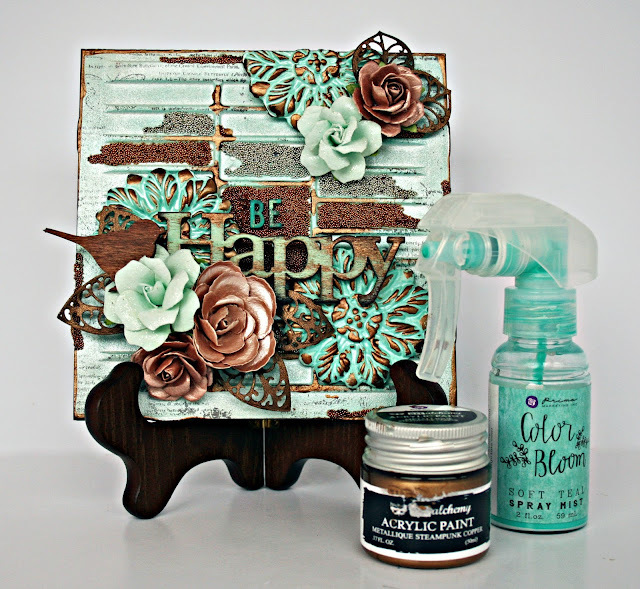 Prima Snowflake Paste is perfect for any wintery project. 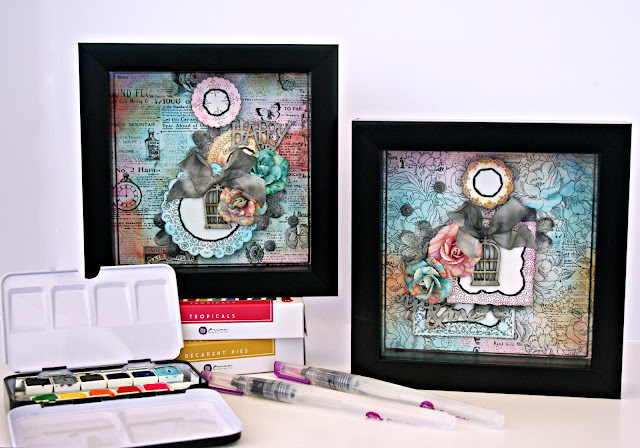 I had the opportunity to create with the new Prima Watercolor Confections for CHA projects. Let me tell you that these are amazing!! They are so pigmented and come in the cutest containers! A little bit goes a LONG WAY, too! By starting with the new 6x6 Resist Pads, I was able to create some little shadow box frames that will look nice in my home. This is the Resist Pad that goes with the Tales of You and Me collection. It's beautiful! Here is a photo of the first one I created. 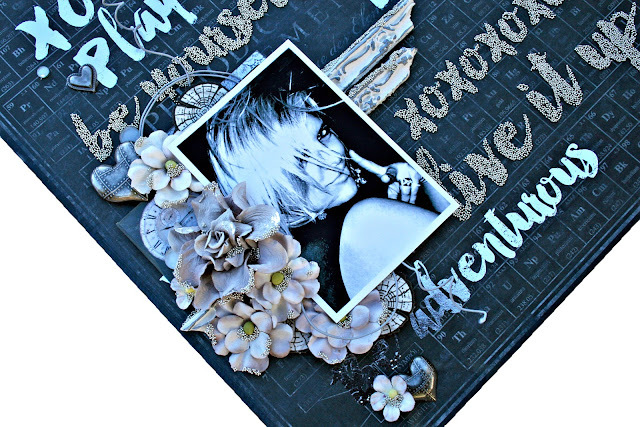 I chose to use the black printed pages for this project to coordinate beautifully with my 6x6 shadow box frames. This close-up shows some of the dimension. The resist pad is also especially versatile with the pages that have beautiful elements that you can cut out and use as embellishments to add dimension. And LOOK at theses NEW FLOWERS! They are perfect with watercolor backgrounds! Here is the second one of the set. It is very similar to the other one so that it will coordinate with the first one. 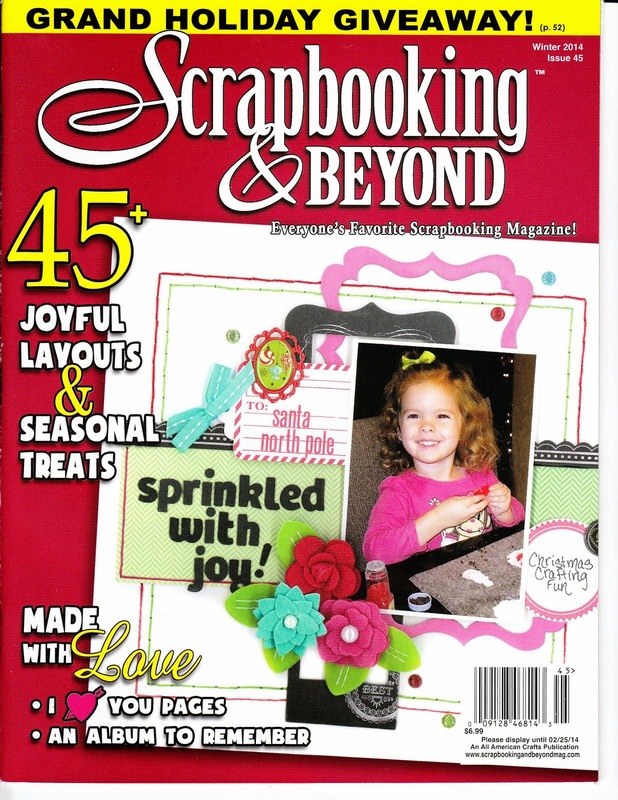 I chose to use the same colors and the same types of embellishments, too. 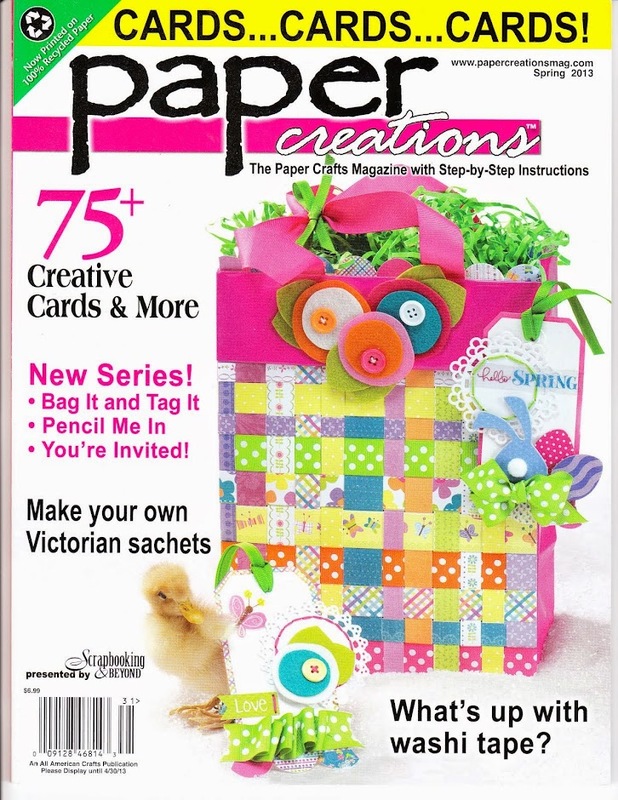 Don't forget the Watercolor Confections when you are wanting to coordinate your ribbons, trims and other embellishments with you projects. I colored them all, even the wood with the confections and it worked perfectly! Start watching for these in your LSS or favorite online store! You are going to WANT these! !